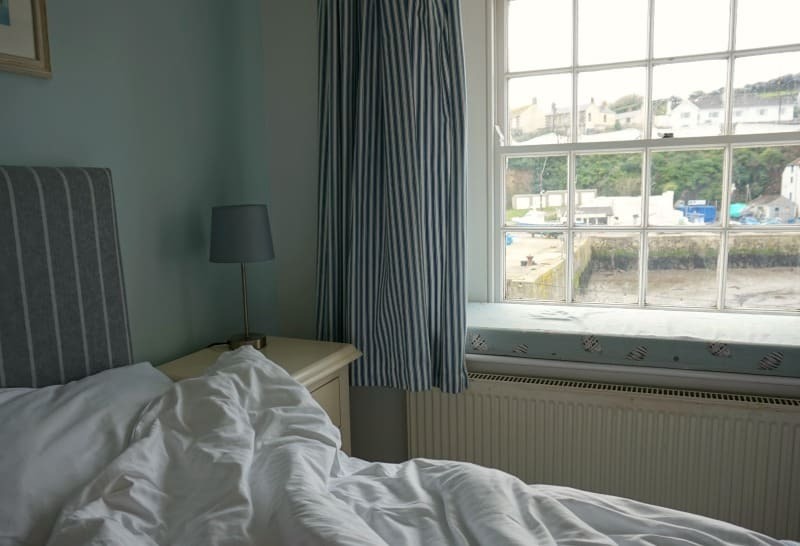 While we were exploring Cornwall on our recent UK road trip we had the pleasure of spending a few days in Porthleven in the west of the county. Porthleven probably has the most impressive harbour in Cornwall and is beautiful with it so well worth a visit if you are in the area. We were staying with Porthleven Holiday Cottages for 2 nights in one of the Jeroba cottages directly overlooking the fishing boats in the harbour. We really felt in the middle of all the activity to be honest. It’s a great location which I will go into in a bit more detail a little later. We managed to park the car outside the property fairly easily, but it was February so I guess this might be a bit more difficult later in the season. We also arrived in the dark, so we didn’t get to enjoy the views of fishing boats and seagulls until the morning, but we were all feeling excited about what we would be seeing after a good nights sleep. Accessing the holiday cottage was really simple as we were provided with a code for the key safe before our arrival. When we opened the door we were relieved to find the heating on and a cosy feel to welcome us. There was also a lovely hospitality tray filled with a variety of teas, coffee and a much appreciated bottle merlot. The Cornish biscuits were also very well received, especially by the girls. The cottage was incredibly homely, while the nautical theme ensured there was also a lovely holiday vibe throughout. The living room and kitchen dinner were open plan but there was plenty of room and seating for a family of four to feel comfortable. We got the girls ready for bed and they picked their rooms for the night. Upstairs there was 2 single bedrooms and a double. The single rooms were a good size for a small child and plenty of drawer space was provided. The double room was adorable with built in cupboard space and a separate chest of drawers. The bed was also cosy with bedside tables and lamps. What really grabbed my attention was the padded window seat below the traditional cottage window over looking the harbour. I was definitely looking forward to opening the curtains in the morning. As the girls start early, it was actually still dark when we woke up but it did make me smile seeing a fishing boat, lit up, making it’s way back to the harbour when I peeked out of the curtains. As daylight made an appearance it revealed more details of the harbour, and the great views that can be enjoyed from the Jerboa Cottage. 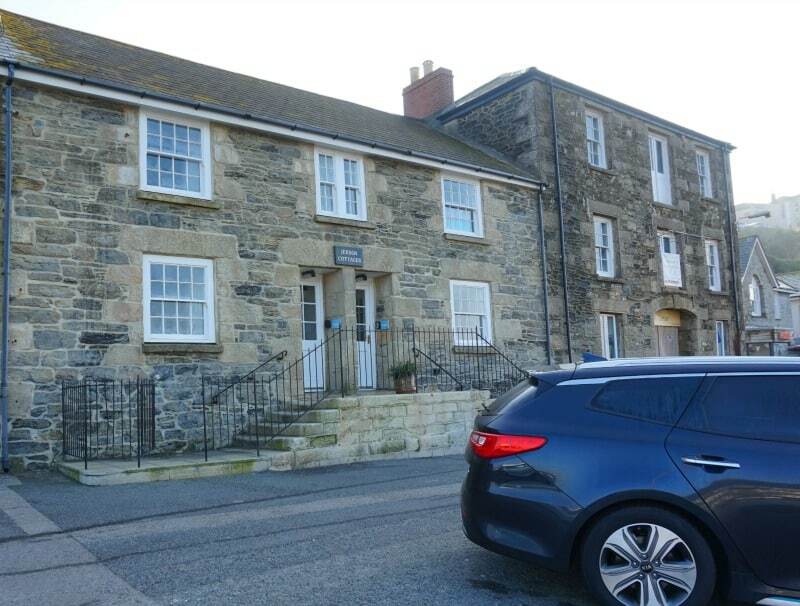 I mentioned the location of the Jerboa Cottage earlier and I really think this is what makes Porthleven Holiday Cottages such a lovely place to stay. 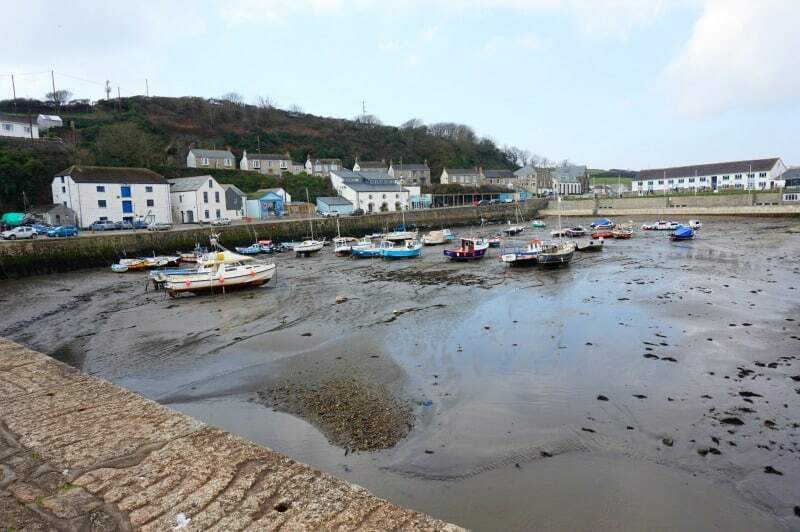 Not only are you staying right in the heart of this particularly stunning Cornish harbour but you also have some wonderful amenities right on your doorstep. We found the pizza restaurant and ice cream parlour very tempting, but after a few days eating out we decided we needed a break and would cook meals in the cottage during our stay. At the end of the harbour there is a very well stocked supermarket and also a bakery so getting supplies was super easy. 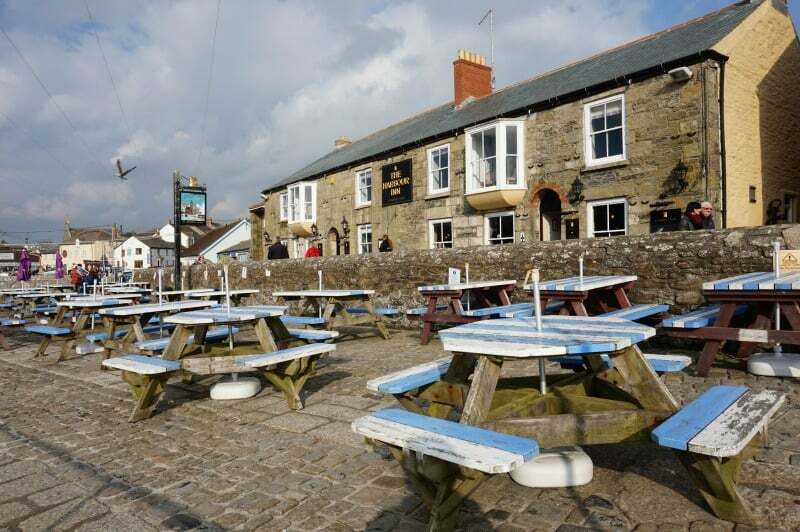 Explore the harbour a little more and you’ll also find a Rick Stein restaurant and the Harbour Inn within easy reach and when the tide is out there is a beautiful beach for children to happily play on. Porthleven is also an excellent base for visiting the Cornish Seal Sanctuary in Gweek and we took the girls there one morning during our stay, which they loved but I’ll go into that in another post. 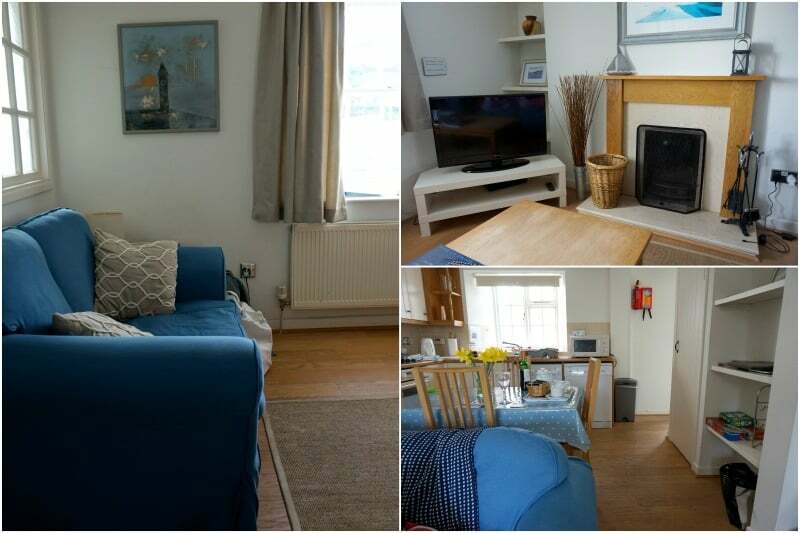 If you are looking for a family friendly cottage in a traditional Cornish location then Porthleven is going to tick a lot of boxes for you. We throughly enjoyed our 2 night stay in Porthleven Holiday Cottages and really loved experiencing that home from home feeling. 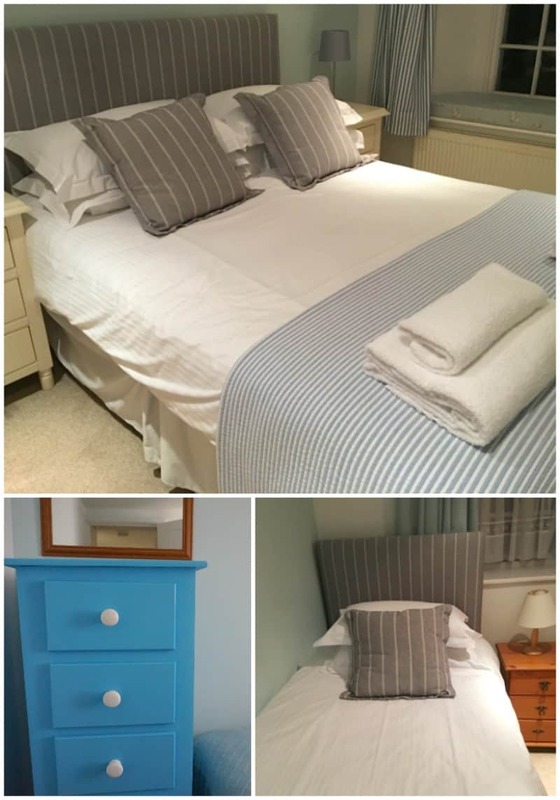 Sometimes it’s nice to have a little bit more space for your family holiday and Jerboa Cottage gave us that as well as being a beautifully presented and incredibly clean holiday home in Cornwall. 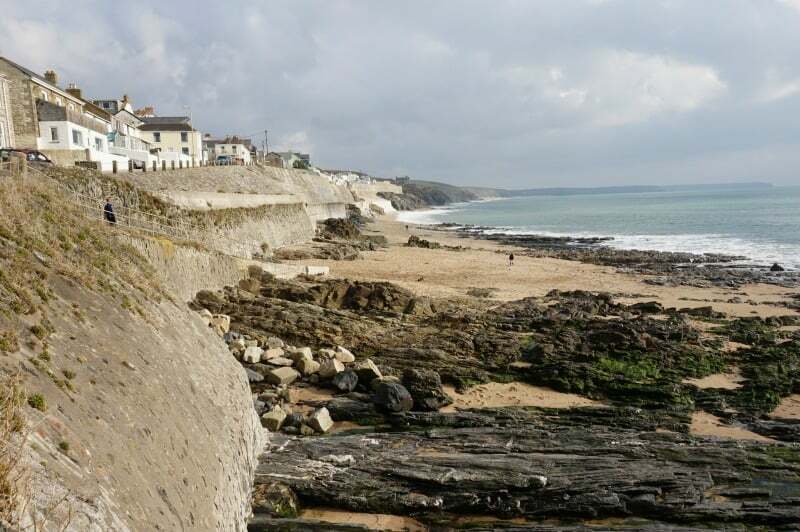 We were provided with a 2 night complimentary stay at Jerboa Cottage by Porthleven Holiday Cottages in exchange for this post but all thoughts and opinions are our own. 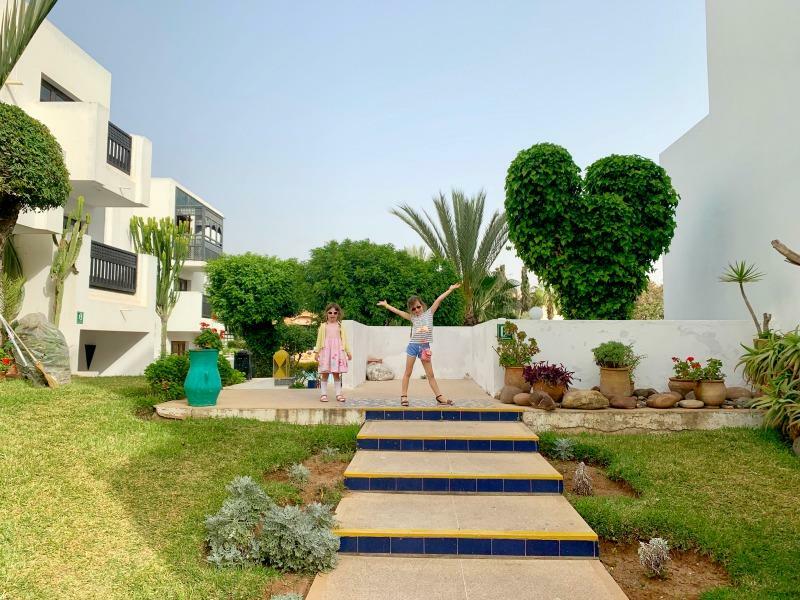 Thanks for this lovely review, definitely something to consider for our holidays. Self-catering makes family travel so much easier doesn’t it? This place sounds beautifully quaint. We really need to explore Cornwall more. Will remember this place for when we finally make it back there. Oh it looks lovely! I love Cornwall and we visit every year without fail but this is somewhere we’ve not explored yet. Have added it to our list of places to visit. That cottage looks so cosy and comfortable too – what great views across the harbour! This looks like a lovely cottage and those harbour views are fab! Yes, I can imagine the parking being a little more difficult in the summer! Can’t wait to read what you thought of the Seal Sanctuary. We loved it there! The cottage looks so homely and what a great location with wonderful views! I have a real love for Cornwall, its just breathtakingly beautiful ! You can’t beat a place with a good sea view! And it sounds as though this was perfect for making the stay a flexible one. It’s great to have the choice between nice places to eat out, and decent shops where you can buy your own food to cook. What a gorgeous place to stay, I’m very envious Zena. Very warm and cosy. I must have walked past these! Such a great area to wander around. I love the grey and white stripes on the furnishings- makes it feel very homey and cosy. Little touches like a merlot make such a lovely extra too.